If you think that April Fools day is just a day to prank your gullible friends, then guess again! 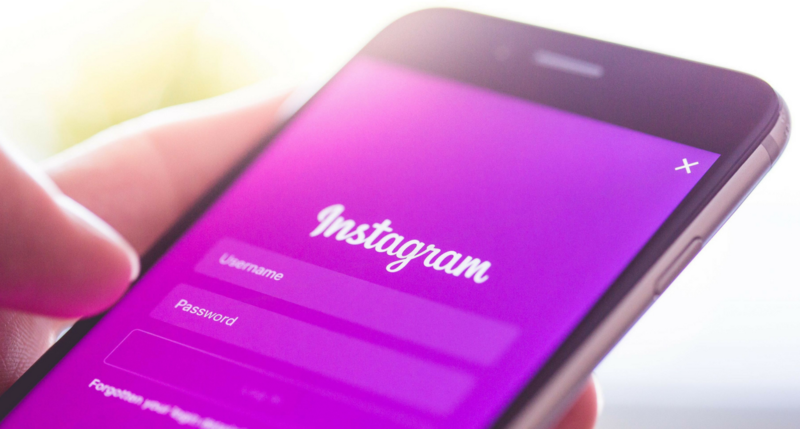 More and more businesses take advantage of this fun period to prank their customers through their social media pages – and do trust us, it’s pretty darn amusing to see. Remember when we told you that your business page should also be entertaining for your followers? Well this is exactly what we meant. A good question though is, how far can you take a joke? 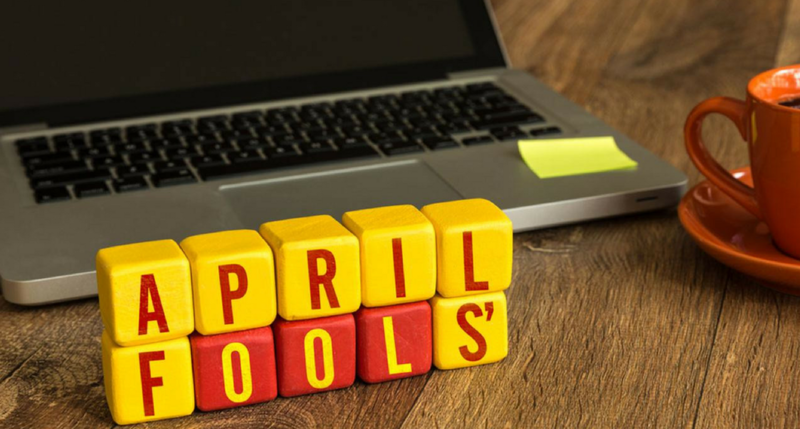 After some research, we found these top companies that absolutely nailed the pranking mode on this day. Last year, KFC became a sensation for women. The reason? 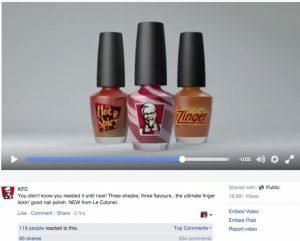 It announced the new range of finger lickin’ good nail polishes. Yes you heard it right… nail polishes! It was a smart and on brand move with a nice video on the side introducing their new line that magaed to get people’s attention. Let’s just say, the audience, and especially their female fans had responded well to this. We even dare to say that most seemed to be quite excited for the nail polish release. Sure you’ve heard of ‘light snack’ or ‘light chocolate’, but Toblerone took the definition on another level. 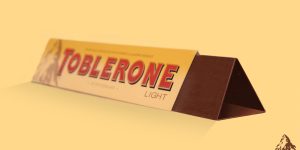 Apparently Toblerone decided that the term ‘light’ is applied when chocolate is removed from its original chocolate quantity. The triangle chocolate bar really got attention for its light appearance and people really didn’t know what to think of it. Was it really light? This got people confused so much that their post got shared and commented on by thousands of people that day. If this product didn’t get women’s’ anticipation on the highest level, then we don’t know what will. All women know the grueling pain of wearing high heels, so they’re only expecting a solution that will bring an end to their mysery. This is what the known Ted Baker brand tried to fool with. 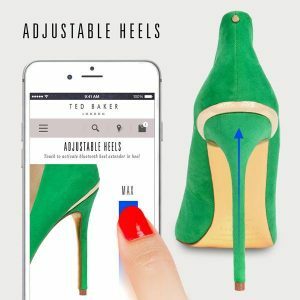 Ted Baker supposedly revealed that women were able to choose the height of the heels they were going to buy via the brand’s phone app. This piece of news really was sent from heaven for the ladies, so just imagine the disappointment in their face when they found out it was an April fools prank. Nonetheless, it was a well-though joke. We have to admit, this was pretty cool. Here Snapchat is allowing fans to take pictures in a filter that is really the bakcground of none other than the Instagram app. 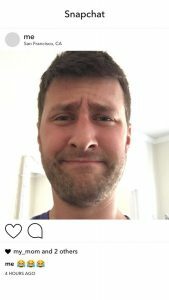 Basically you can even say that Snapchat is trolling Instagram, which makes this prank oh so fun. The best part? 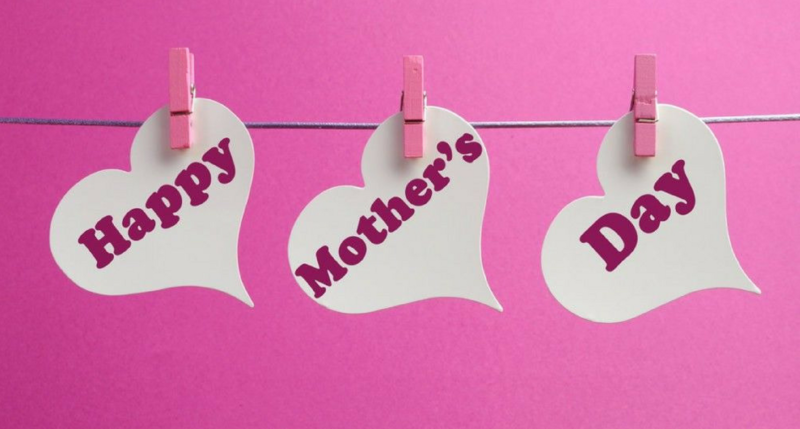 The filter shows that your picture is liked by ‘your mum’. So, we just have to give Snapchat some major credits for this. Oreo lovers (we’re sure most of you are), this 2017 prank really got us! If you’re the kind of person who eats the cream before the actual Oreo, then this was a dream come true… if it was actually true that is. 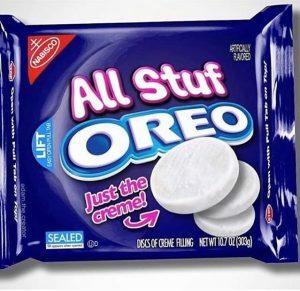 The brand of Oreo decided to prank their fans by ‘releasing’ its new product of Just the crème of the cookie. Needless to say, that this April fools prank got people super excited for this new product that they started spreading the news around the world of Social media. The post even received a huge number of Likes, Shares and Comments which skyrocketed its popularity. Now this is what we call a true April fools prank! 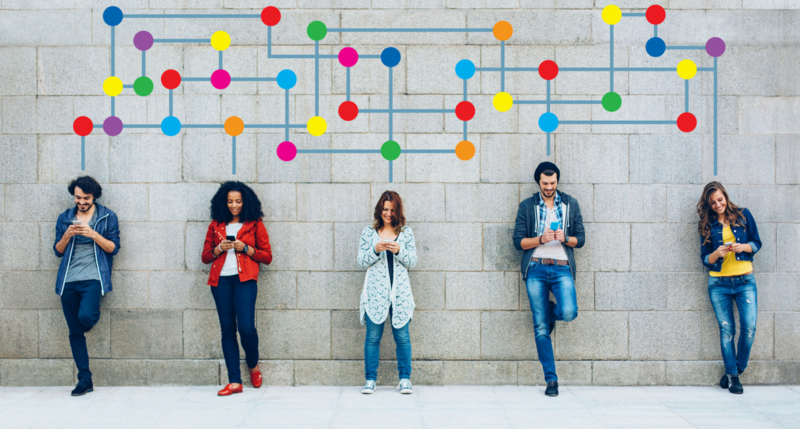 Have you gotten some inspiration for your Social Media prank? Let us know what you have though of so far.